Finding an everyday lip product has always been a struggle of mine. My former motto when it came to lipstick was "go big, or go home." I either went completely bare-lipped or layered on a finicky matte liquid lipstick, one that I had to tend to all day long. But I'm over that now. I want a product that both is easy to deal with and looks great. Cut to two months ago, when I found exactly what I was looking for. I imagine this is what it feels like for a normal person to find their soul mate, but for me, lipstick will do. An Elizabeth Arden package showed up at my desk, and I began opening it without thinking my life was about to change. I looked at the product, a modern-looking pod-like contraption that housed a purple hue I wouldn't normally wear. I set it aside and went about my day. "This looks cool," one of my co-workers said offhandedly as she walked by my desk. That's when I really looked at it. It does look cool, I thought as I unscrewed the cap. The texture is a mix between a balm and a gel, kind of bouncy and sheer. I used my finger to lightly press it on my lips and checked a mirror. I was stunned. It was perfect—dewy but not glossy, subtle but visible, and a little Popsicle stain-y in a cool-girl kind of way. It goes on less saturated than it looks in the tube and is perfectly flattering for all occasions. I wear it on the weekends with sweats, out at night with heels, and to work in trousers. I haven't stopped applying it since the day it came across my desk. Plus, there's the name: Heavenly Rose. Who wouldn't want to wear a product called Heavenly Rose on their lips every day? The genius is in the formula, as it's a tinted lip oil rather than a lipstick or gloss. So it's as good for your lips as it is for your beauty look. The coconut oil softens, avocado oil conditions, and Tsubaki oil subtly plumps with each application. 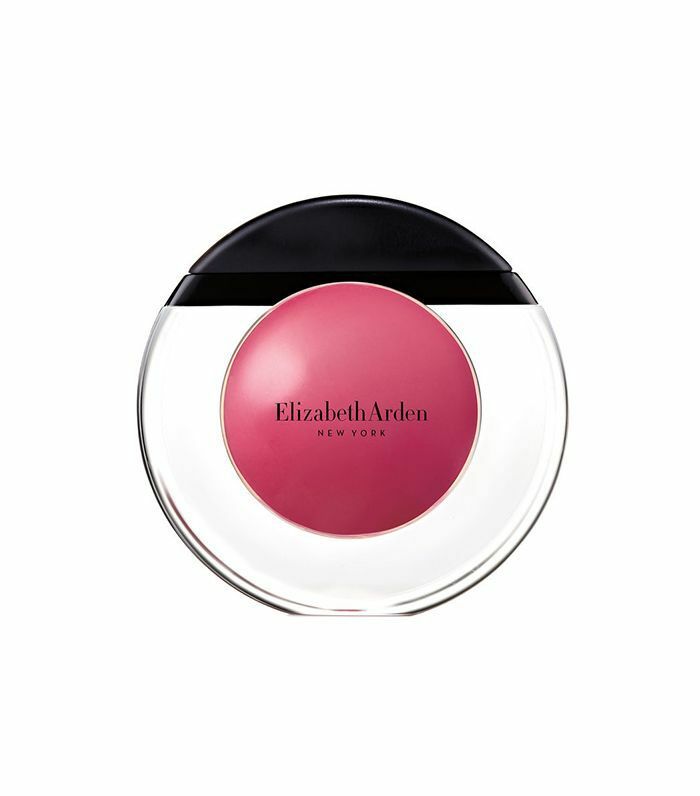 Elizabeth Arden's global makeup artist, Rebecca Restrepo, agrees: "A glossy texture helps make lips look fuller. Use the lip oil alone or over lipstick for just the right amount of shine, and give the illusion of plumper lips."